For optimal health, we must be able to properly digest the food we eat and the immune system needs to be able to ward off pathogens and keep our microbiome healthy; the body needs to be able to maintain a healthy level of inflammation and response to stressors. These all happen to be necessary functions for optimal fertility health as well. Natural therapies, herbs and nutritional supplements help keep the body in a state of balance. 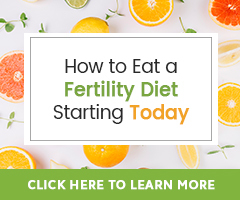 Getting fertility-boosting nutrients through the food we eat is incredibly easy and, as you’ve read from us before, at the foundation of the body’s ability to heal and stay well; to be fertile. One amazingly nutrient-dense food that helps with all the aforementioned necessary functions happens to be bone broth. It’s not only trendy, but a great, easy, cost-effective way to help the body heal and stay well. These benefits are due to the nutrients from the bones, specifically the bone marrow, which offers immune-boosting lipids called alkylglycerols*, gelatin, protein, amino acids like glycine, proline and L-glutamine for nervous system and gut health, blood sugar regulation, stress management and much more, as well as a variety of minerals including calcium, magnesium and phosphorus, etc. *Swedish Biochemist Dr. Sven Brohult is credited with discovering the immune-boosting lipids called alkylglycerols (AKGs), in bone marrow after his Oncologist wife Dr. Astrid Brohult proved (although with some inconsistency) the white-blood-cell-boosting benefits for cancer patients. Feel free to search for recipes online; there are many to choose from and you can experiment with flavors you like. Note: Soup bones are not the same as marrow bones (these are devoid of fat and meat bits). Soup bones have bits of meat and fat attached. A local farmer or butcher who offers grass-fed animal bones are great sources for bones. Cook a whole cage-free chicken, saving and using the bones for broth. Place pre-cooked or roasted* bones into a large stock pot (if cooking on the stovetop) or crock pot. Be sure to include the browned bits and juice from cooking or roasting previously. Cover bones with water and add apple cider vinegar. Bring to a boil and then cook at a low simmer for at least 4 hours, up to 24 hours (some recipes say longer, up to 72 hours). Low and slow is the key! After the desired cooking time, drain the broth and cool it quickly by adding one to two cups of ice to the broth in a large-mouthed container/bowl before refrigerating, freezing or canning for future use. Bone broth is likely to become gelatinous as it rests and this is just fine. It will liquify some as it is reheated. Step 1: Blanch the bones by covering them with cold water. Then, bring to a boil and let them boil at an aggressive simmer for 20 minutes. Drain. Step 2: Roast the blanched bones. Preheat oven 450˚, spread bones on one layer in a roasting pan and roast them for 30-45 minutes. Checking on them around 30 minutes to ensure they don’t burn. The bones should be dark brown and well roasted. Suggested use: Eight to sixteen ounces can be consumed daily, according to many references. Bone broth can be turned into soup, used as the base of stews, when cooking rice, etc. Do Your Health a Favor, try Bone Broth! A large stock pot of bone broth can be easily stretched out over many meals or days if sipping it from a mug or preserved for future use. It’s the perfect thing to have on hand for cooler winter months, for when you feel low in energy, stiff after a workout, or your immune health is compromised. Its nutrients and health benefits are thought to be more than what we know so far. While there are several delicious brands of bone broth, be sure you choose USDA organic if you’d rather purchase it than make your own. The broth should contain minimal, real ingredients (not bouillon or lab-derived meat flavors). Conventional, store-bought bone broth can have added salt (MSG), shelf stabilizers, and can lack the beneficial nutrients that the homemade version contains. Feel free to comment with any recipe variations you try and love. Here’s to your health! Just curious — is it essential to roast the bones before putting them in the slow cooker? Why is it not ideal to just use raw bones? Thanks! Roasting the bones enhances the flavor of the bone broth. Roasting also helps break down or soften the bones to help them better release nutrients and help the water draw out even more nutrients and collagen. That all said, roasting in not required, but you will find many many resources that suggest this step.